Open your patio doors to an array of mountain colours no matter what the season at The Vines Resort & Spa in the heart of Mendoza’s Uco Valley, your idyllic wine retreat. Taste succulent flame-grilled cuisine at Siete Fuegos, created and run by internationally acclaimed chef Francis Mallmann. Watch the reflection of the Andes Mountains stand tall in the reflection of the infinity pool as you recline on a lounger. This is a wine resort like no other, blending into the heart of rural Argentinean countryside. 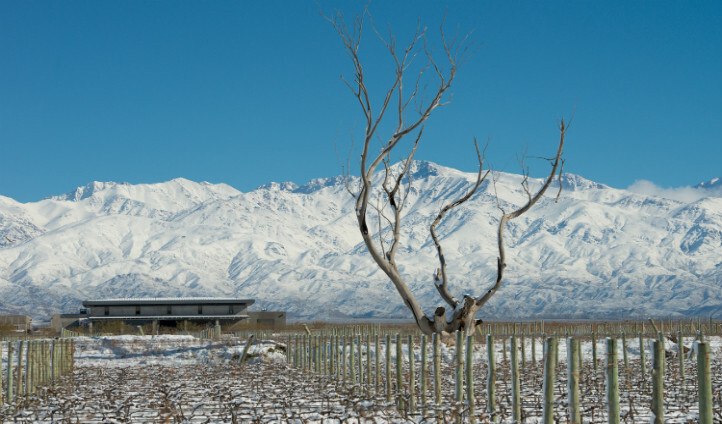 Your remote wine retreat lies in the acclaimed Uco Valley, the youngest of Mendoza’s three wine regions, but also the most unique and innovative in the world owing to its high altitude. 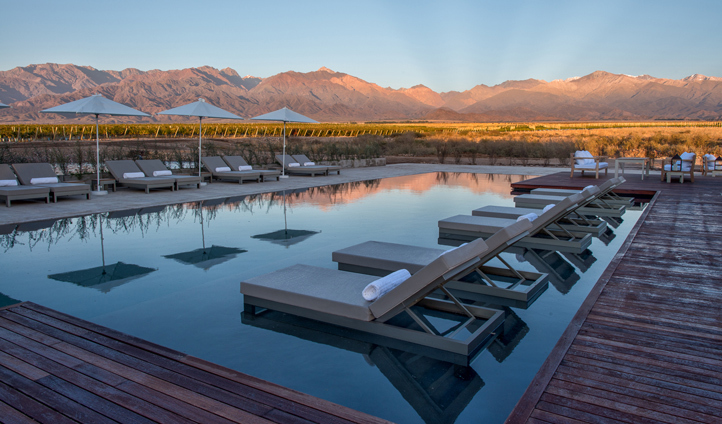 Just one and a half hours Southwest of Mendoza International Airport, find your unique wine resort in the heart of vineyard country. With more than 1500 wineries in the entire province of Mendoza, you’re spoilt for choice when it comes down to choosing which one to explore when. That’s if you even venture out of your own vineyard paradise at all. Get lost in the surrounding vineyards or ride off into the sunset across the mountain trails. The choice is yours. Every single one of the 22 spacious one and two bedroom villas at The Vines Resort oozes a unique blend of rustic elegance and modern comfort, topped off with incredible panoramic views of The Andes to feast your eyes on. The spa-inspired bathrooms are just one of the signature features from world famous architects Bormida & Yanzon, the brains behind the simplistic and effective design of this exclusive wine resort. We love the selection of one bedroom deluxe villas, complete with plunge pool and floor to ceiling glass to truly make the most of your luxurious natural surroundings. To top it all off, there’s even a rooftop terrace for sunbathing and stargazing. The Vines Resort may just be the epitome of wine hotels for us here at Black Tomato. Not only can you enjoy plentiful wine tasting from the comfort of your very own hotel, you can learn how to make it too and have a go yourself. Find your flow in the defoliation of spring vines, or in harvesting grapes. What better conversation starter on your return than saying you learnt how to create that bottle of Malbec on the dining room table?